How do you light up your firebox? The increasing use of wood-burning and pellet products for domestic heating contributed considerably to reducing CO2 levels in the atmosphere, but was also accompanied by the fact that the limit values for particulate matter (PM10) were often exceeded. In countries in central and southern Europe, on average about 40% more PM10 is generated by domestic combustion of wooden biomasses, mainly firewood used in domestic appliances. It's a well-known fact that the negative effects on the environment are caused by systems with poor efficiency levels, as they are obsolete or not certified, but also incorrect lighting methods and incorrect use of fuel. As for the former, many EU countries, but also local administrations have long adopted policies that promote the purchase of latest-generation stoves and fireplaces and impose limit performance and emission values that are becoming increasingly strict for domestic appliances. 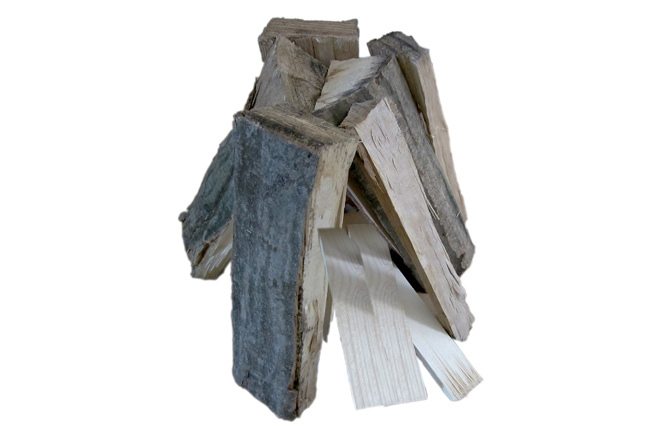 As for the other aspects instead, relating to the key role of the end user, there is still a lot to be done in terms of training them how to use the wooden biomass correctly. By examining the results of research recently conducted in Austria, Cristoph Schmidl, senior researcher at Bioenergy2020, established that one of the most critical stages that produce emissions is the lighting stage. 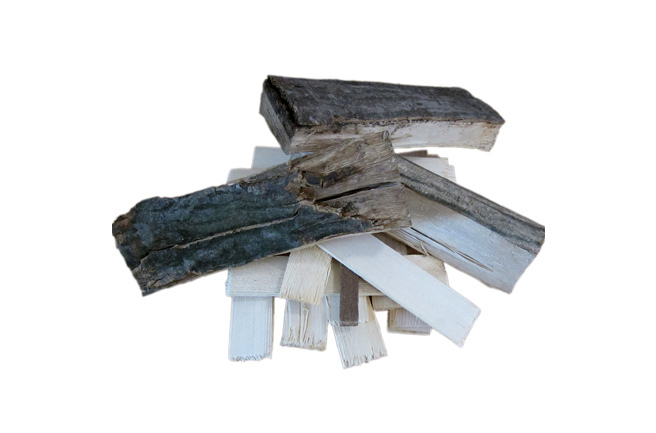 The material used to light the fire and how they are positioned in relation to the load of wood is also an aspect that influences the polluting emissions. The 62% of the Austrian sample said they use small pieces of wood and paper, that produce a lot of polluting emissions, while just 8% said they use fire lighters. 83% of users place the lighting module at the base of the load or at the bottom, where it causes greater particle emission values during the lighting stage. Fill the wood from the top, instead of from the bottom as is the tradition, can considerably reduce polluting emissions. 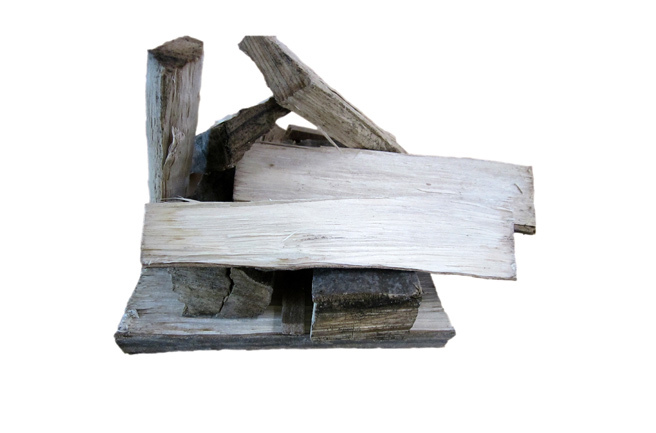 The picture here above shows a stack of wood lighted from the top with dry wood: it is the "cleaner" and right method to light wood logs, but it is used only by the 8% of the Austrian sample. In the picture above, logs lighted from the bottom with dry wood: this method is used by the 58% of the Austrian sample, but it is not suggested because of the polluting emissions it produces; instead of dry wood, also small pieces of wood and paper are often used as lighting module and are positioned in the bottom of the stack. 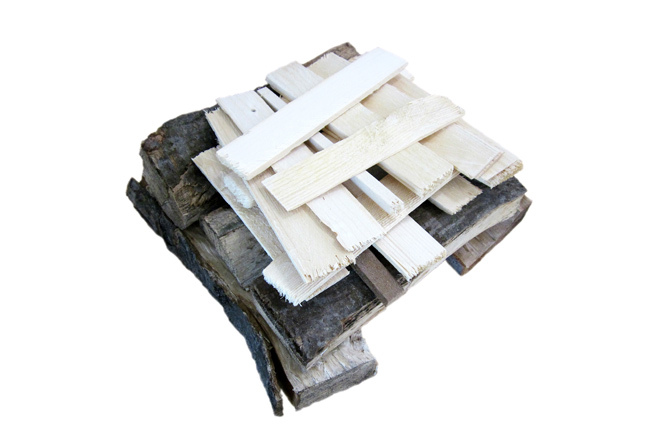 In the picture above, mixed stack of wood with no lighting module: this method is used by the 15% of the Austrian sample and it is to be avoided. In the picture above, vertical logs lighted from below (like a campfire): this method is used by the 19% of the sample of the Bioenergy2020 research and it is also to be avoided. Pellets or wood, which is best?